The Seagate Backup Plus 2TB Slim Portable Hard Drive makes it easy to back up all your important files on all your devices: mobile devices and computers. It comes with software that will allow you to set schedule backups, so you don't have to put in extra work. What I like is that it's not too expensive especially with the $20 rebate at Costco. 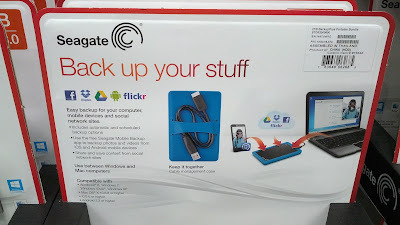 You'll regret it if your computer crashes and you lose everything: documents, photos (including all those selfies), movies, music, etc. So don't let that happen to you. 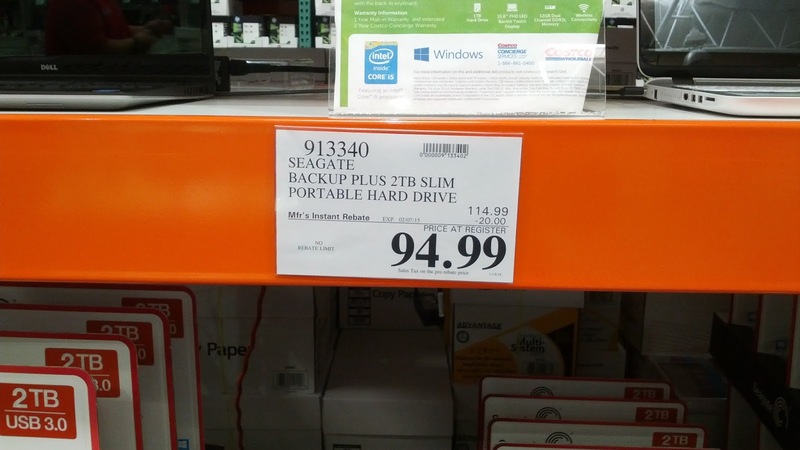 It's a small price to pay to back up your digital life: your valuable files is worth more than the cost of the drive and you can back up not just one device but several devices. 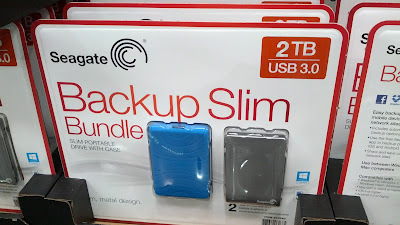 Also, I like how this external hard drive is slim and portable which lets me take this from room to room to back up the computer in my office, my wife's laptop, our spare computer in the guest room, etc. I sometimes take it to the office if I need to transfer large files. With 2TB of storage space, it's plenty big enough to back up all my files. If you need something bigger, then the 4TB Seagate Plus Hard Drive might be for you. Save your photos, documents, and home movies in case your computer crashes with the Seagate Backup Plus 2TB Portable Hard Drive. With 2 TBs, the Seagate Backup Plus Slim Portable Hard Drive gives you plenty of storage space to back up your computer. Take advantage of the limited time rebate for the Seagate Backup Plus 2TB Hard Drive from Costco.